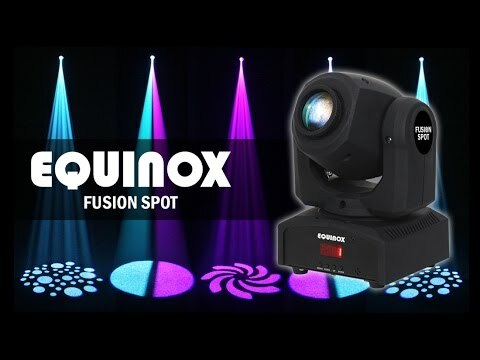 The Equinox Fusion Spot XP is a small and affordable moving head powered by a 50W LED engine. Featuring a separate gobo wheel with 7 laser cut gobos plus open and a colour wheel with 7 colours plus open, the fixture projects a 13° beam angle. The Fusion Spot XP can be linked with the Fusion Scan Max (EQLED052) and Fusion Roller Max (EQLED053) to create lightshows with synchronised gobos and movements, perfect for mobile DJs, bars and small entertainment venues.